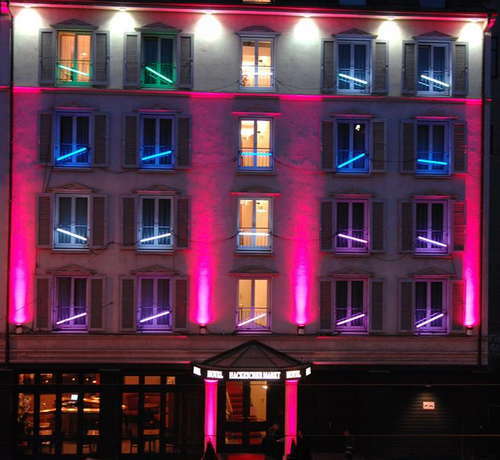 Amid the nightlife around Hackescher Markt, this recently refurbished hotel provides discreet and inexpensive top service. 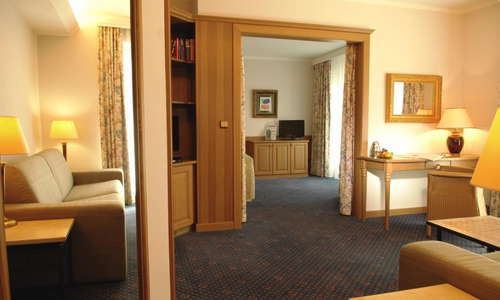 Unlike those of many older hotels in eastern Berlin, rooms here are spacious and light-filled and feature modern, neutral furnishings. In winter you'll appreciate the under-floor heating in your bathroom, and in summer you can enjoy a coffee or breakfast in the small courtyard. The staff is friendly and attentive. The three room categories range from small to large, with single rooms being the coziest. All have comfortable beds, writing desks and flat-screen TVs. The larger rooms have a small seating area. There is free Wi-Fi in all the rooms. YOU SHOULD KNOW There is no gym or sauna, but the hotel offers a discount at the spa at its sister hotel, Alexander Plaza, about a five-minute walk. Gray marble bathrooms have heated floors, showers and hair dryers. Large rooms have shower-tub combinations. The lobby lounge is set one level up from the reception area, with soothing cream-and-brown toned furniture and colorful orange and blue accents. 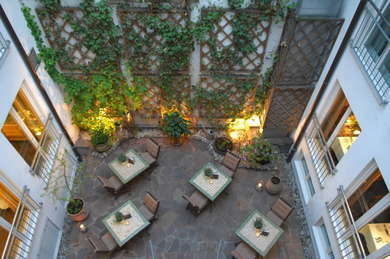 The breakfast buffet, served in an attractive breakfast room overlooking the courtyard, is an additional 17,50 euro. There is no full on-site restaurant. The S-Bahn and multiple tram lines are across the street at Hackescher Markt. Hackescher Hof (5-minute walk) serves authentic German cuisine in a historic, wood-paneled room with high, coffered ceilings. 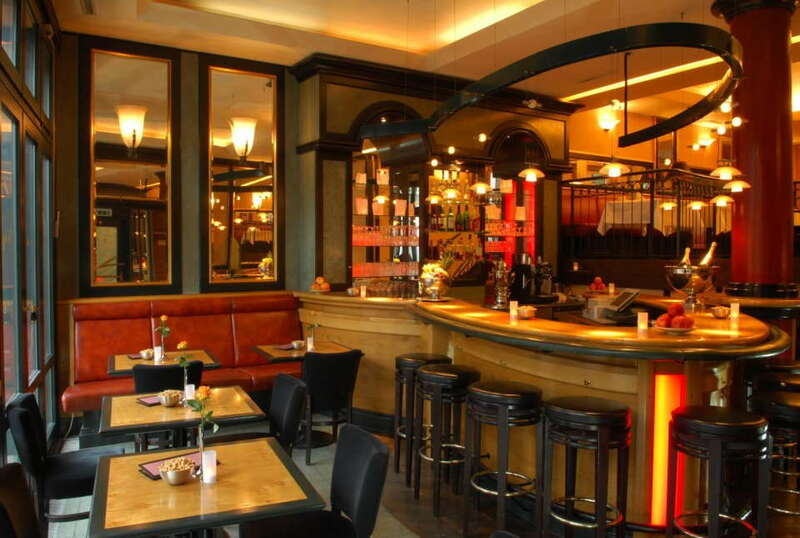 Pauly Saal (11-minute walk), tucked inside a former Jewish girls’ school, features striking art deco surroundings, deep green walls, high ceilings and excellent modern German cuisine. Night Kitchen (8-minute walk) occupies a renovated 19th-century brick building in the courtyards of Heckmann Höfe, and is a charming spot to dine on regional cuisine. 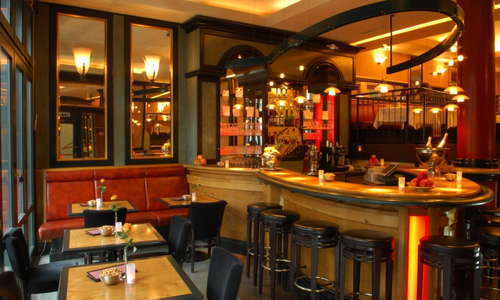 Café Cinema (6-minute walk), in the Hackescher area, is a warm, inviting spot to grab a wine, beer or coffee. Look for the mural of Albert Einstein on Rosenthaler Straße, find the doorbell, and you’ll gain admittance to Dean (12-minute walk) with a retro, vaguely Studio 54 vibe, with lots of low, velvet-covered seating and a small dance floor. One of Berlin’s most famous clubs, House of Weekend (17-minute walk) packs them in with top-notch DJs and a spectacular 15th-floor roof terrace. Rooms may be on the smaller side, but have recently been refreshed with stylish furnishings and supremely comfortable beds. 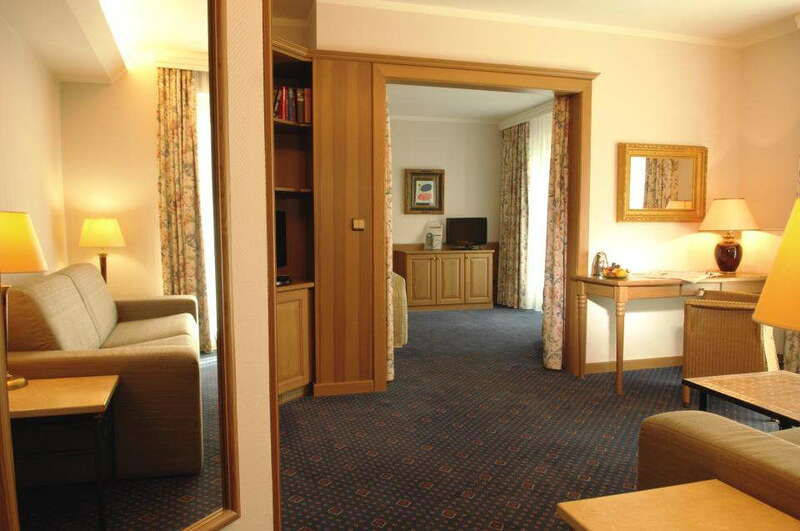 And you won’t be spending much time in your room anyway, as excellent shopping and dining is right outside the hotel’s doors at Hackesche Höfe. It’s also close to the top museums of Museum Island.